We custom-design payment solutions that will bulk up your sales and trim down overhead. Level II and III enhanced data processing at a specialized low rate the card brands reserve for B2B transactions. This is especially practical if you sell wholesale equipment. Integration support so that your payment system works seamlessly with your accounting platform, SMS marketing, loyalty program software and hundreds of other compatible applications. Hardware and software built on advanced security technology. You can have peace of mind knowing that your business and customers are protected from fraud with the most innovative security features on the market. We offer a large selection of credit card processing equipment. Some of the most popular for health and fitness merchants are Clover POS products. To learn more about the products and services that are best for your specific business, contact us below and an account representative will be in touch shortly. Health and fitness is an industry that’s in higher demand each year. Our population is looking for more and more ways to get in shape, and this market is growing as a result. According to Statista, U.S. fitness centers had total revenues of $27.6 billion in 2016. And that figure doesn’t include all of the independent personal trainers and health professionals out there. Despite its popularity, some health and fitness businesses have trouble finding affordable merchant services. They are considered high risk by many merchant account providers. The main reason for the high risk tag is use of the recurring billing model for memberships. Customers usually give one-time permission up front for the business to charge them monthly until the customer cancels the membership. If customers skip over or forget about the terms of the authorization form they sign, these recurring charges might come as a surprise, leading them to initiate a chargeback against the business. This is a very common scenario for free trial models that lead into recurring billing. After a free trial, the start of an auto payment plan might catch the customer off guard. There’s also the possibility of “friendly fraud”—when a customer abuses the chargeback system just to get their money back. Maybe they stopped using the membership and forgot to cancel. In any case, this can also lead to a chargeback against the business. Subjectivity is also a big factor. If clients don’t see the results they want to from personal training or the health service your business offers, they might try to dispute the payment for it, claiming it wasn’t as described. Chargebacks are a major business performance indicator, and one of the factors merchant account providers consider when they look at merchant account applications. Rather than decline merchants with higher-than-average chargeback ratios, we look at all the details and consider how we can help prevent them moving forward. We offer chargeback prevention support, including professional guidance in refund policy verbiage, membership billing terms, advertising and more, aimed at keeping your business running successfully. In most cases, we are also able to remove the reserve implemented by other processors. 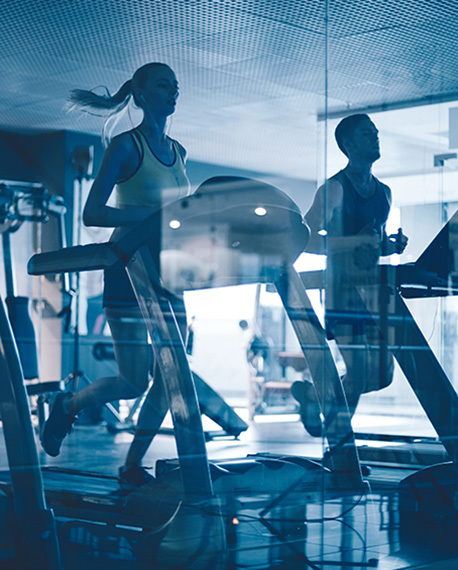 With a health and fitness merchant account from BankCard USA, you don't have to settle for high transaction rates, outdated equipment and hidden fees so commonly exploited by other providers. We value forming long-lasting partnerships with our merchants over cutting a quick profit. Already processing? During a free consultation, we’ll show you exactly what you can save each month with a side-by-side comparison of your current processing statement and our proposal. Not accepting credit cards yet? You have a lot of benefits coming your way when you start! We are here to walk you through each step of the application process and answer any questions you may have in regard to setting up a merchant account. No hidden fees, no confusion, and no wasted time. Room for growth is a huge factor when choosing a merchant service provider in the health and fitness industry. If you’re a personal trainer traveling to customers’ homes but aspire to open your own gym someday, we will set you up with an adaptable solution that helps bring that dream to fruition. We also offer specialized credit card processing solutions and merchant accounts for businesses selling supplements and nutraceuticals.